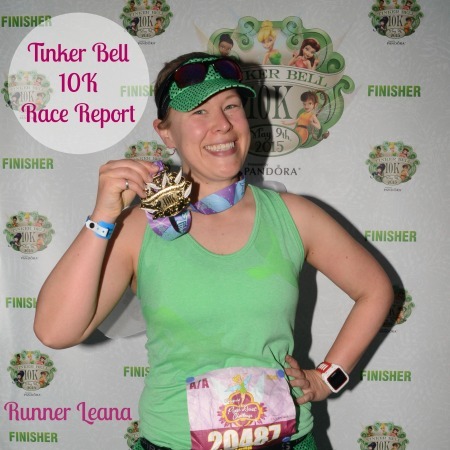 The Tinker Bell 10K was my first ever runDisney 10K race ever, plus my first race at Disneyland! 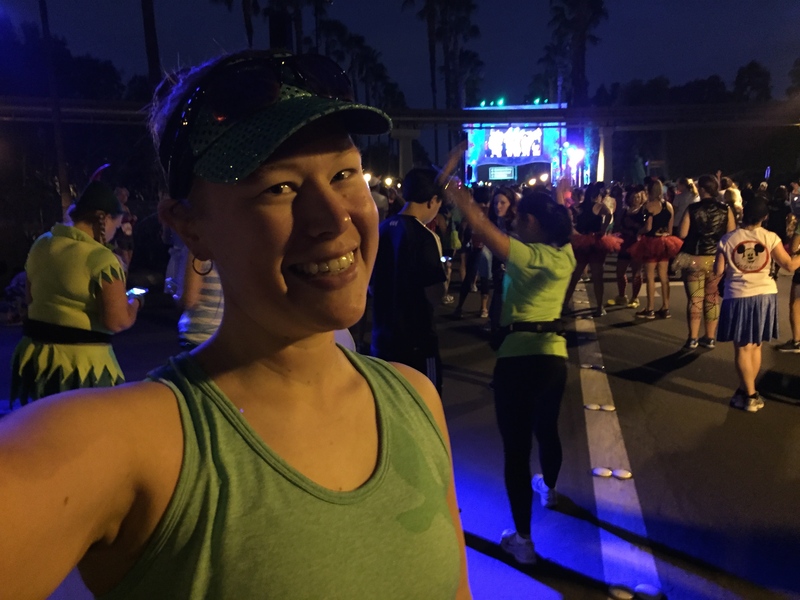 Since Disneyland was all so new to me I felt a bit clueless about how early I needed to get to the race start or where we’d have to go. Unfortunately I erred on the wrong side of things and we were running late for the start! 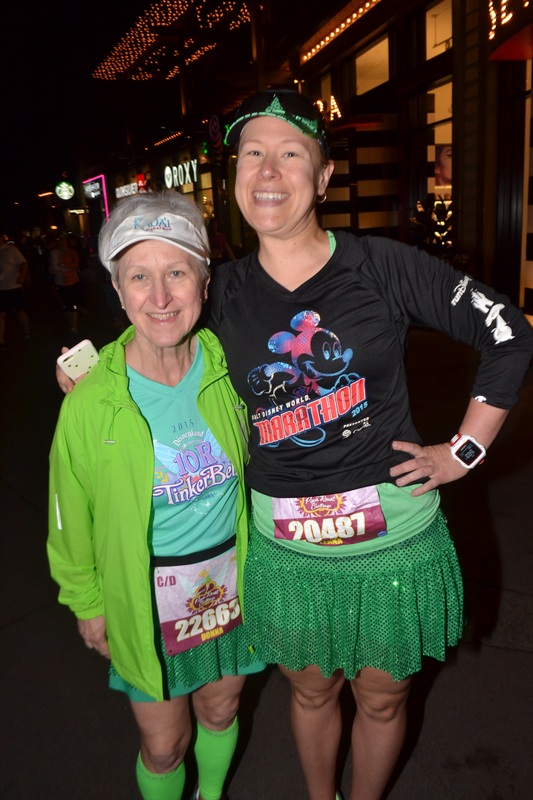 I still managed to grab a quick photo with my mom on the way to the race though. 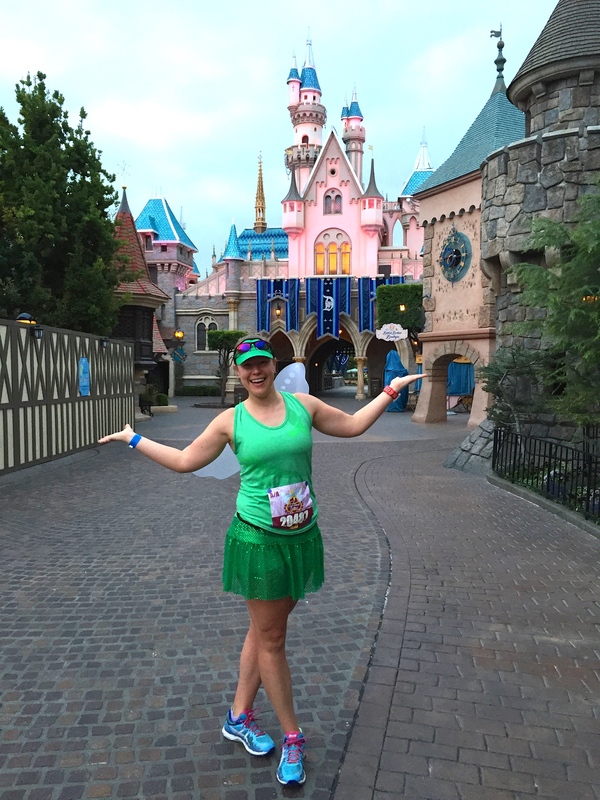 I had just enough time to put my fairy wings on and hustle to my corral. As soon as I got there I took a gel, sipped on some water and before I knew it we were ready to go! 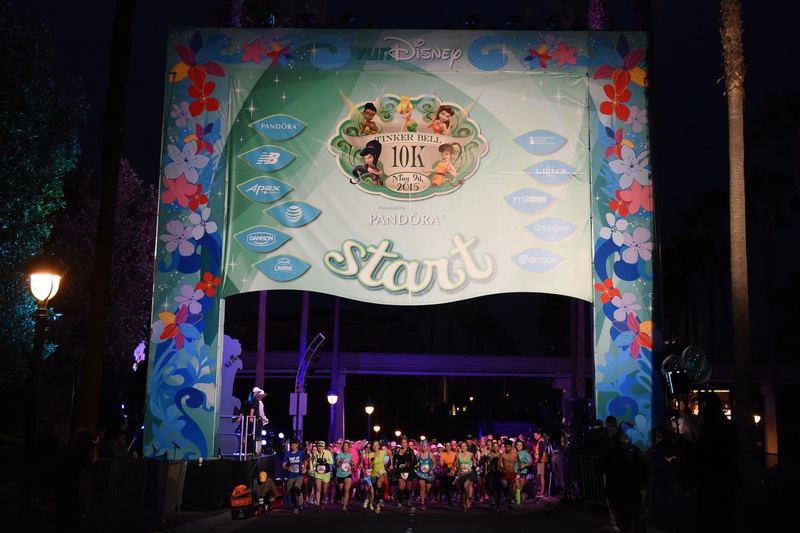 The 10K course starts on the highway for the first mile and a bit, then you head off into the parks. We’d also follow the same starting route for the half marathon the next day so it was nice to have an idea of what to expect the next day. 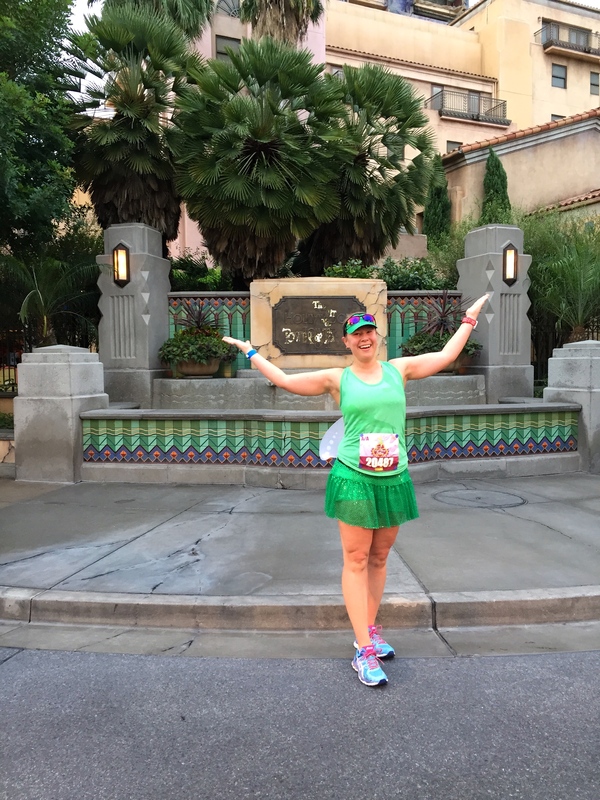 My goal for the race was to stop for as many photo opportunities as possible so I worked to do just that! In front of the Disneyland train station…and on Main Street. 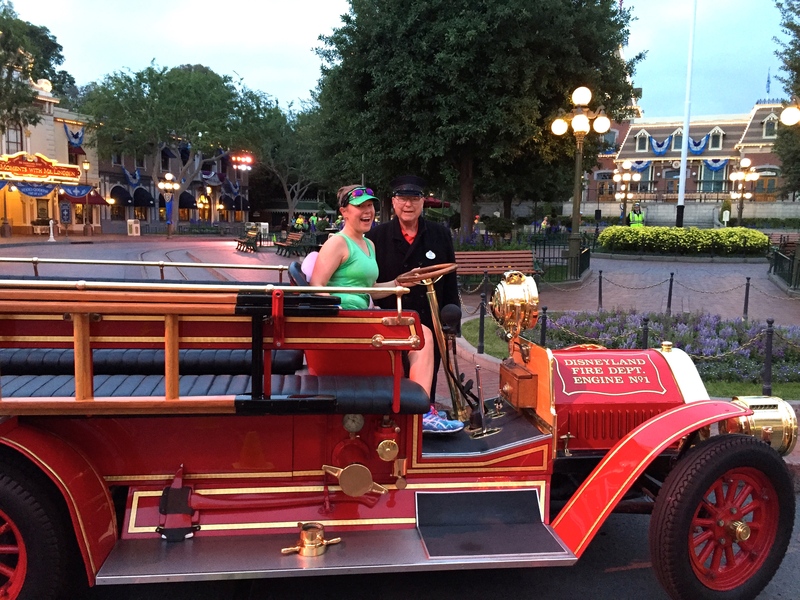 The Disneyland Main Street fire engine was out. 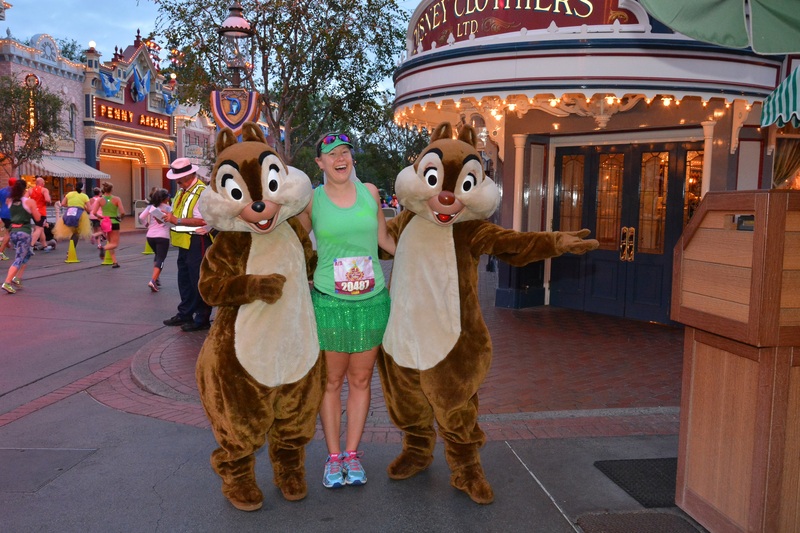 And Chip and Dale were hanging out on Main Street! 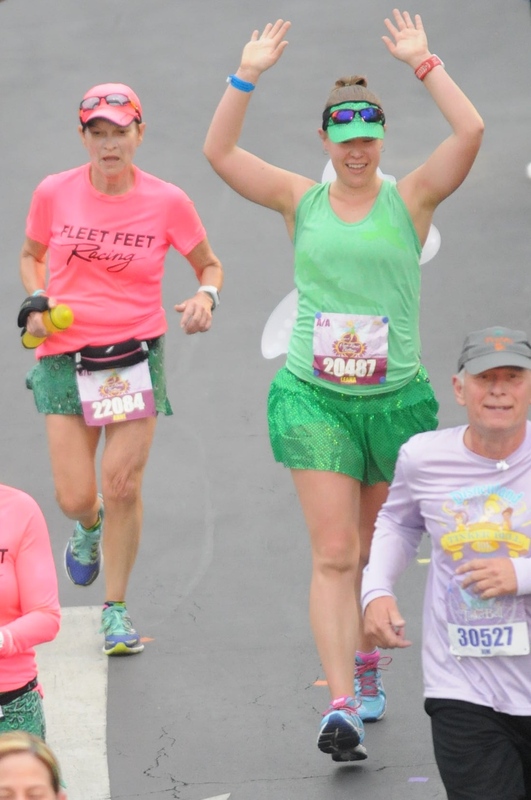 One thing about running down Main Street at Disneyland was we had the whole street to run down, as opposed to at Disney World where there is a huge cheering crowd. It felt a lot less crowded (but also a lot quieter)! With Walt Disney, Mickey Mouse and Sleeping Beauty’s castle in the background. 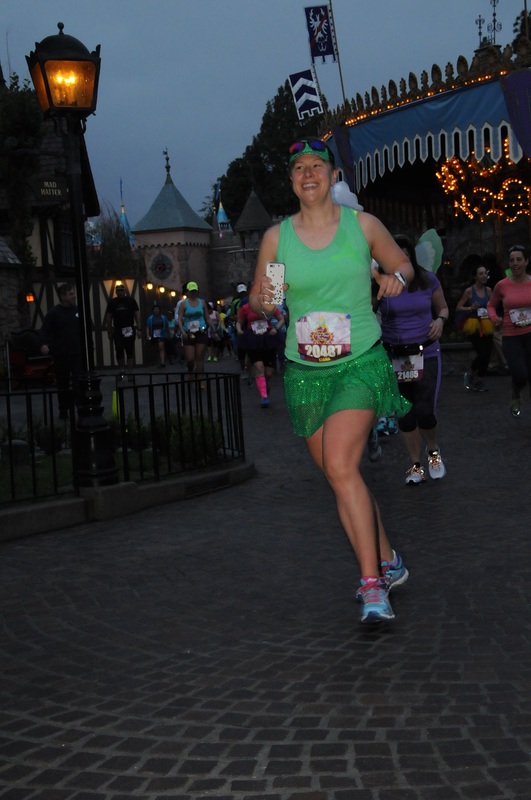 We ran through Frontierland, into Fantasyland and past the carousel. And behind Sleeping Beauty’s castle. I made the quick decision to not stand in line to meet Alice in Wonderland and the Mad Hatter by the carousel and I just kept going. 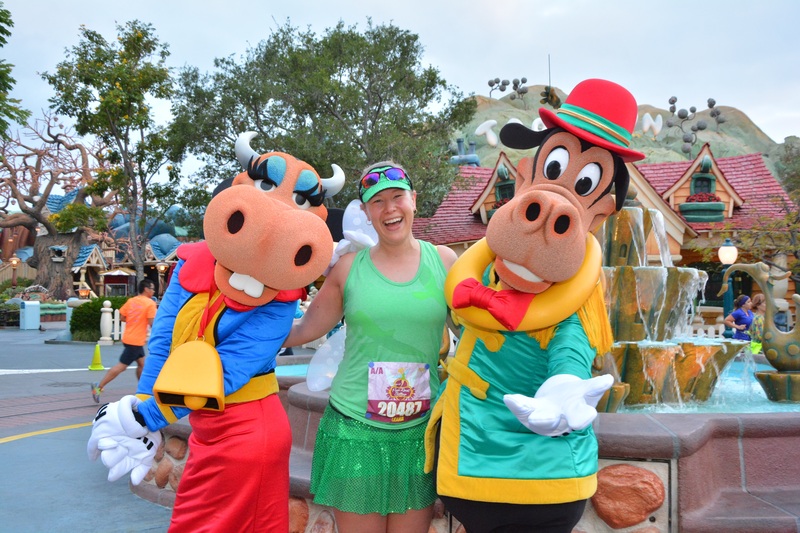 I ran into Clarabelle Cow and Horace Horsecollar in Mickey’s Toon Town. I’ve never seen them before so that was neat! We ran out of the park and onto the backroads. 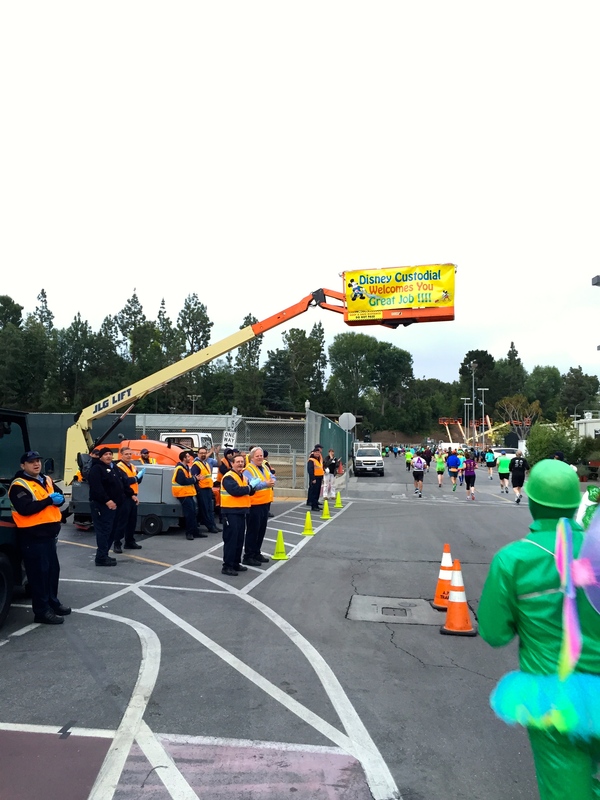 Disney staff were out and cheering us on as we made our way towards California Adventure. There were a lot of staff out to take photos for us in front of various landmarks throughout the parks. Apparently I had one preferred pose! 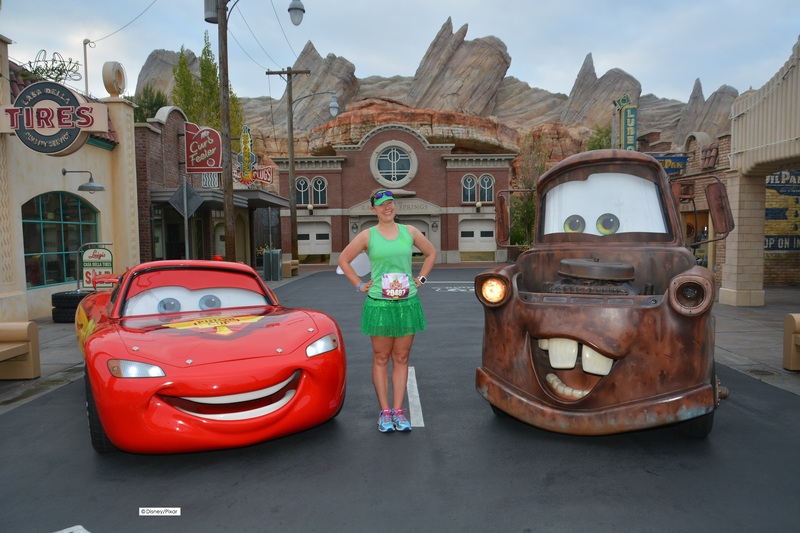 …I ran in to Lightning McQueen and Mater! 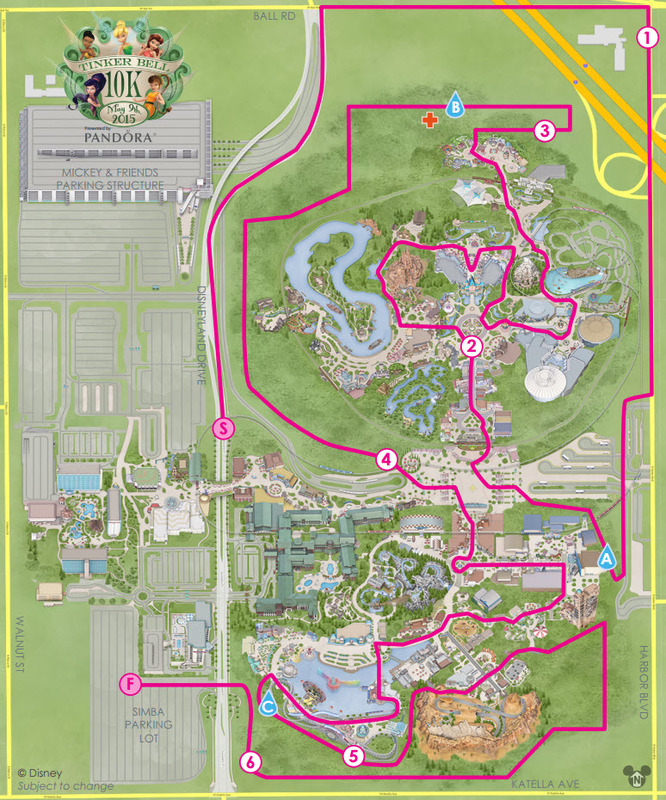 We left California Adventure and started the final push to the finish line. 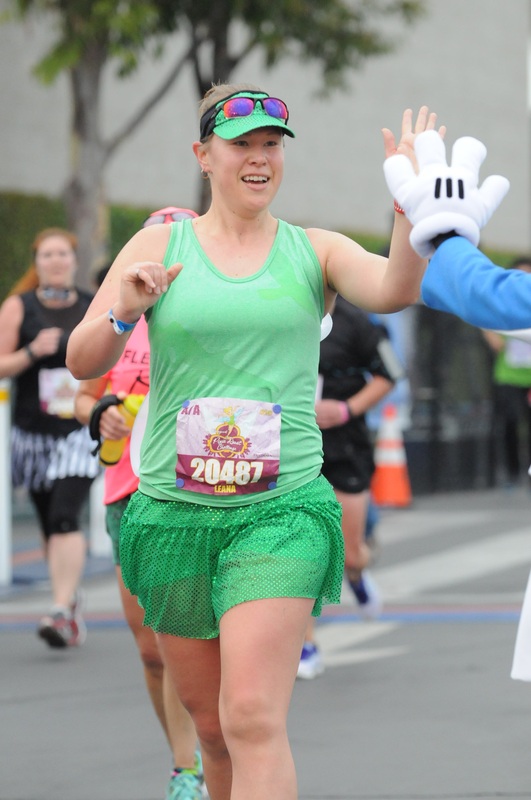 Before I knew it, I was giving a high five to Minnie Mouse and crossing the finish line! The race was so fun! 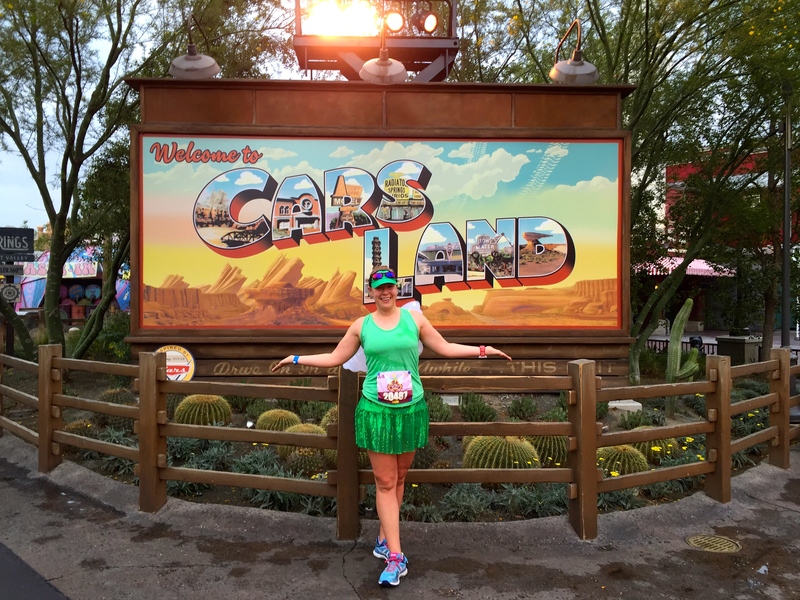 With all the time we spent running through the two parks it didn’t feel like we’d run 10K. I didn’t stop for all of the characters on course as I bypassed Alice in Wonderland, the Mad Hatter and the fairies from Pixie Hollow but I still managed to get lots of photos. 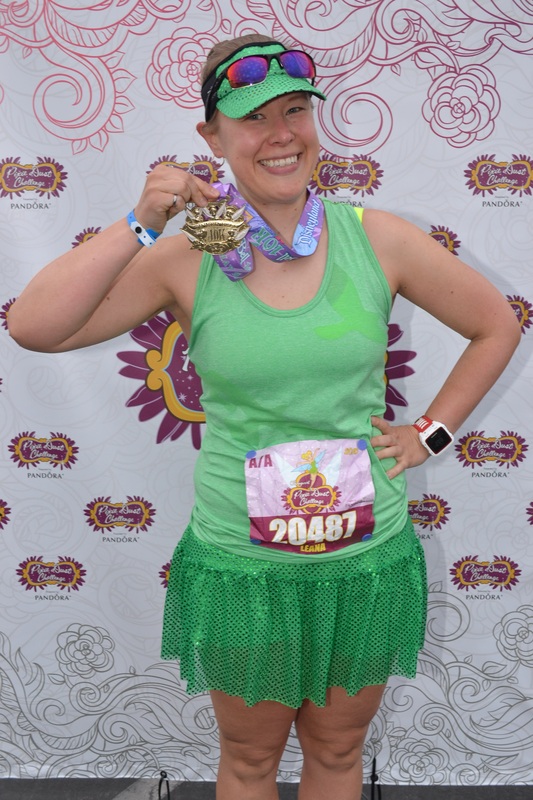 I finished in 1:15:27 and Garmin clocked my moving time at 1:04:06. 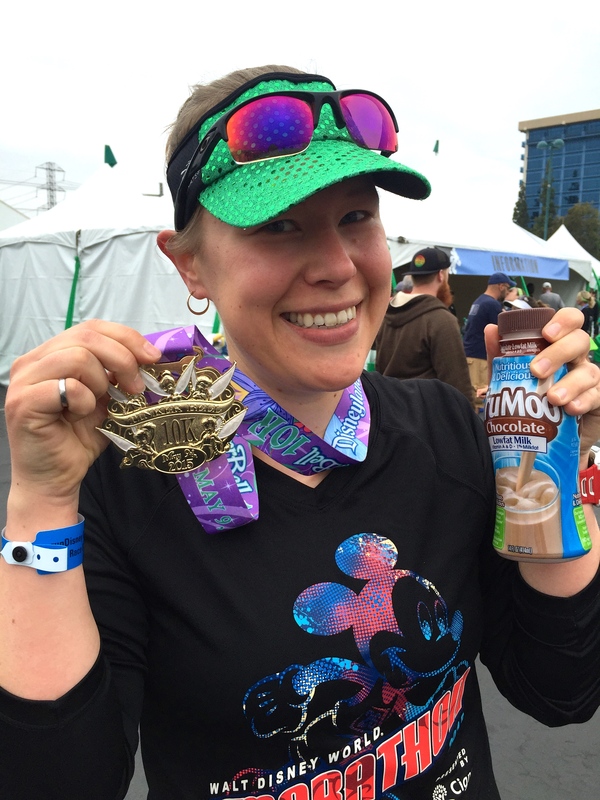 As soon as I finished I drank a chocolate milk and went off in search of breakfast. 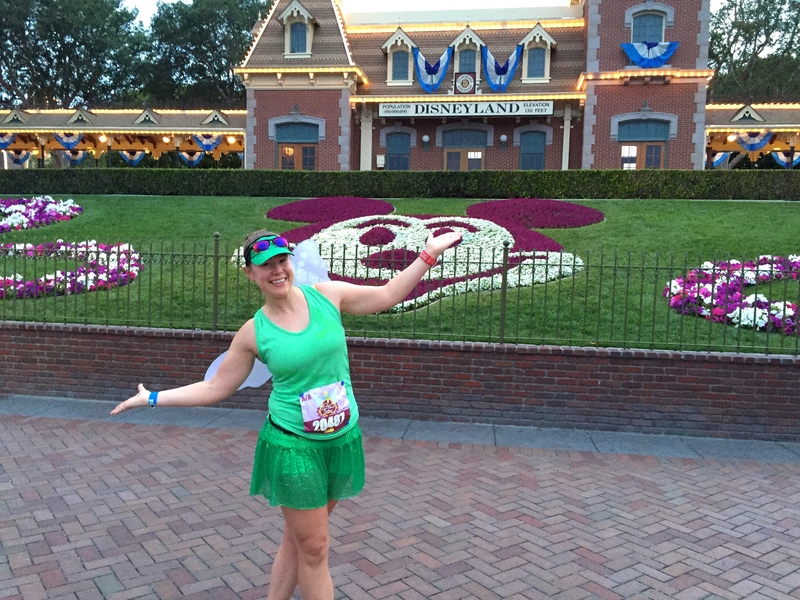 It was time to start recovering for the next day…the Tinker Bell Half Marathon! You have such great photos! I didn’t stop for any. And I agree about Main street it was nice having the whole road. 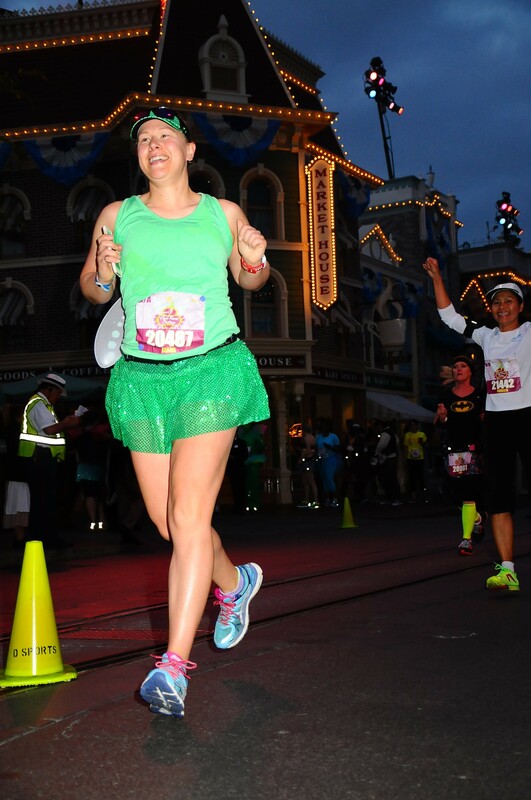 But it’s also nice in Disney world for the spectators to be cheering for you. Guess you can’t have it all. Thanks Lacey! 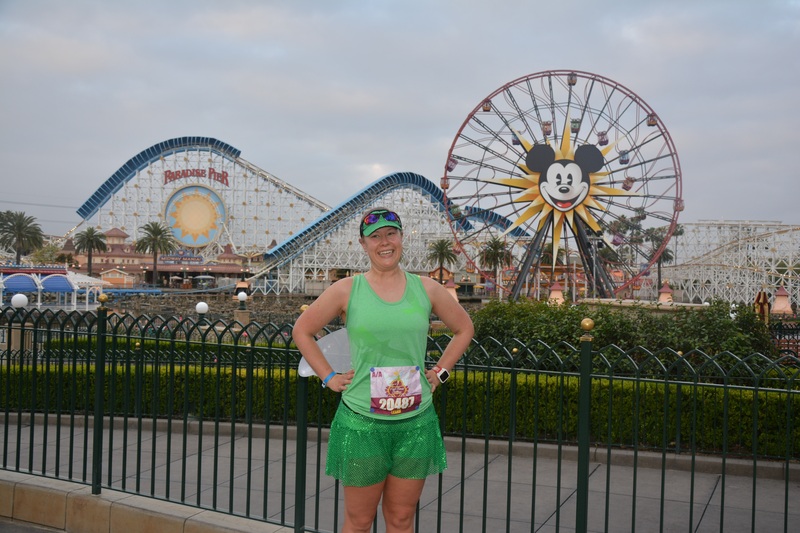 This is my last Disney race for awhile so I wanted to take advantage and get a few photos. It was nice because it felt like the lines weren’t overly long like they have been for Marathon weekend in the last few years. Awesome job!! 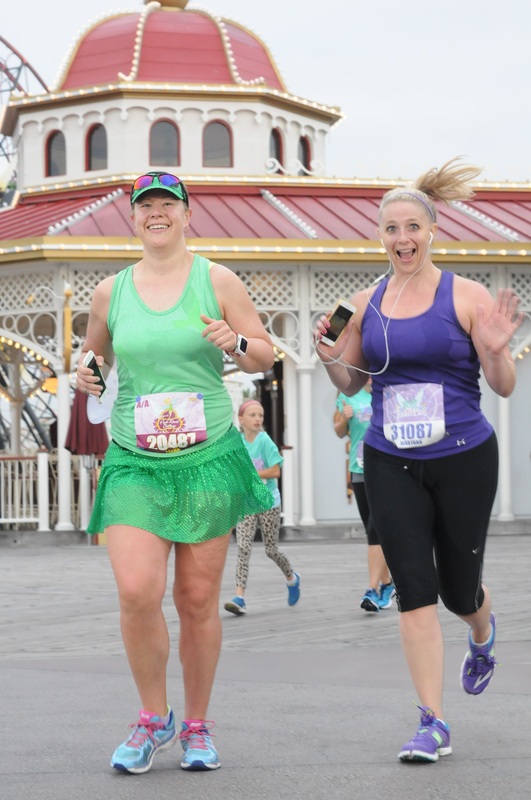 I need to do a Disney race!! Love your outfit!! Thanks Nicole! 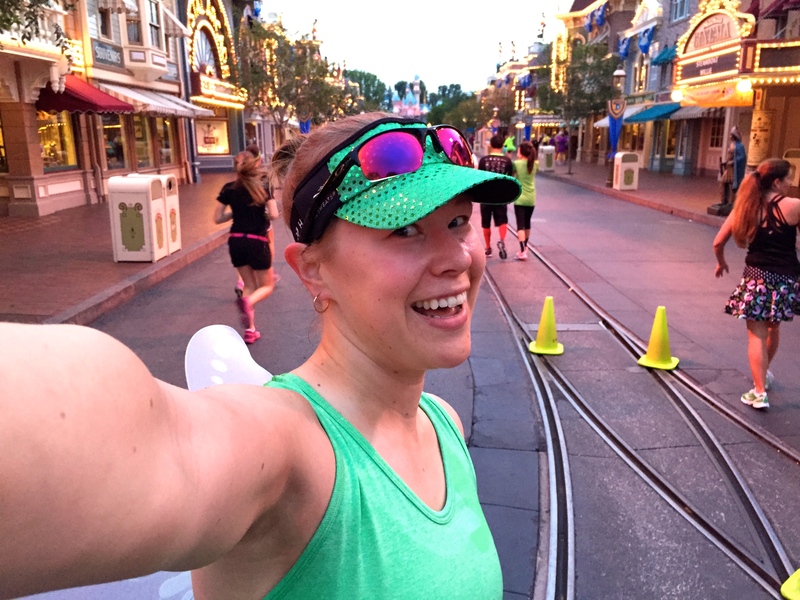 I do love Disney races and there are so many fun ones to choose from now! Kris recently posted…My family is kind of the best. Looks like a great time. Love all the pictures. I think you could call that a success on your goal for the pictures, haha. Hey! I am coming over the link up with John. great recap! 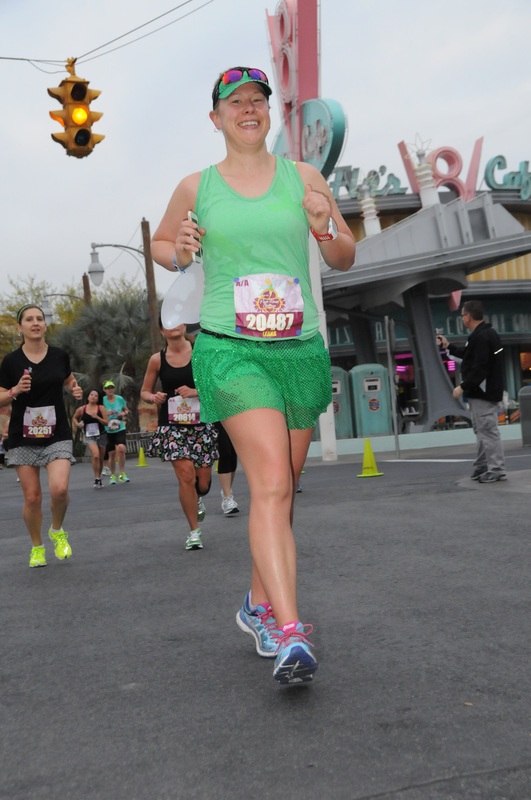 I loved the 10k course-the number of photo stops and the lack of lines was so nice. 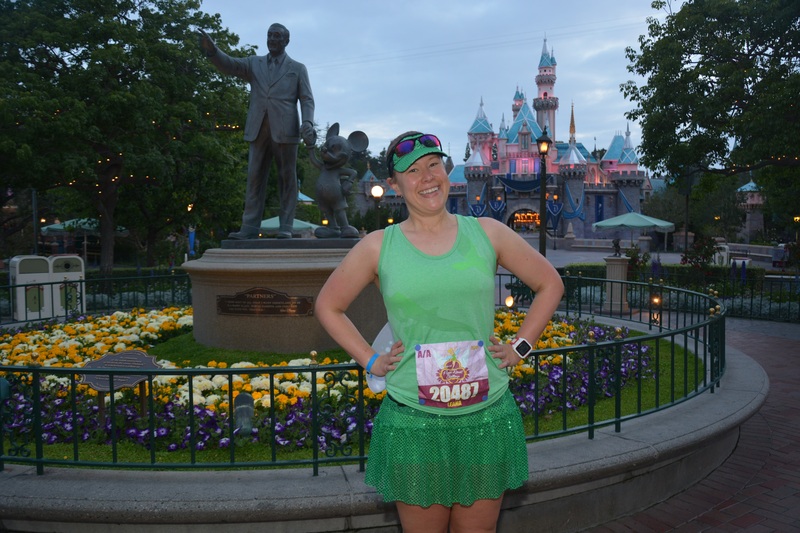 I was able to stop for 15 photo stops, about 4 more selfies, and a bathroom break and still only added about 20 minutes to my final time, which is crazy!